Stem cell procedure used on Utah dog; will it work? 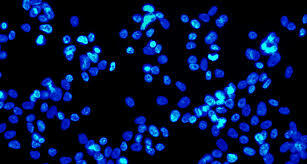 | "Latest Stem Cells News"
“We have to harvest some fat from them to isolate the stem cells. And in her case, she’s a thin dog, so we actually harvested a little bit of abdominal fat just from the front of her abdominal cavity,” he explained. Coty’s owner, Dan Miller, says it was hard to watch his Husky – once capable of 40-mile runs – lose mobility. “Painkillers never really seemed to make a difference, at least in her stride, the limp in her stride,” Miller said. Coty went through other treatments, including glucosamine and even acupuncture, but they didn’t help. That’s when the doctor suggested stem cell treatment as an option. It was an expensive option, one Miller says he was only able to afford because Dr. Israelsen performed it at cost, a total of around $1,600 between his clinic’s expenses and the payment to Vet-Stem of San Diego. Dr. Israelsen removed about 60 grams of fat from Coty on March 16, 2009, and shipped it in a special temperature-controlled container to Vet-Stem. The company extracted the stem cells from Coty’s fat, and then shipped it back to the clinic where it was injected straight into Coty’s affected joint – an elbow. The entire process took about three days. Miller says Coty’s not showing signs of improvement yet, but Dr. Israelsen says that’s not uncommon. He expects to be able to tell a difference sometime between one month and three months from the injection. LOGAN — Coty’s head bobs in a rhythmic fashion as she limps through the snow. Struggling through the streets of Richmond, she holds out her left paw to soften the impact of the incessant pounding. Her owner walks nearby, longing for the day he can take her back on the trails at High Creek. After a half-hour walk, the 10-year-old Alaskan husky lags behind. Once a hiking companion, Coty was capable of running 40 miles a day. Now the dog suffers from an arthritic elbow and has difficulty walking a couple of miles at a time, according to her owner, Dan Miller. “Her life was to run and just be active,” said Miller, recalling the days the dog would accompany him on backpacking and skiing trips. But Miller has a reason to be hopeful. Earlier this month, Coty became the first dog in Cache Valley to receive stem cell therapy, a seemingly promising new technology that has the potential to significantly improve her quality of life. 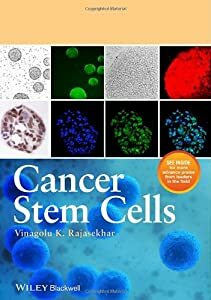 Since stem cells are naturally able to become many different types of cells such as muscle, bone, tendon, ligament and cartilage, for example, they are viewed as highly encouraging in the field of veterinary medicine. In Coty’s case, though, stem cell therapy was not the first method her veterinarian pursued for the dog’s degenerating elbow joint. Dr. James Israelsen, veterinarian with the Mountain View Veterinary Health Center in North Logan, had tried a variety of therapies over roughly a two-year period, ranging from anti-inflammatory arthritis medication to glucosamine injections and even acupuncture. The procedure was relatively simple. On March 16, Israelsen removed 61 grams of fat from the dog’s abdomen, divided it into two tubes and shipped the temperature-controlled package overnight to Vet-Stem, a company headquartered just outside of San Diego that has purchased the licensed rights for using fat-derived stem cells in animals. Within 48 hours, workers at Vet-Stem had isolated and concentrated several million of Coty’s stem cells from the fat tissue. Israelsen received the cells contained in a syringe two days after the initial surgery and injected them into the dog’s elbow joint the same day. In addition to relieving pain, Israelsen’s hope for Coty is that the dog’s general leg movement and range of motion improve. “Our goal is that she be able to use her leg better than she is so that she can do the things she enjoys,” he said. Dr. Julie Ryan Johnson, vice president of sales and marketing for Vet-Stem, said the company believes regrowing cartilage in the joint is possible. Since 2003, Vet-Stem has conducted stem cell therapy on more than 3,000 horses with conditions including bowed tendons, ligament injuries and fractures. The technique has been available commercially in dogs since January 2008, and already the company has used the process on more than 1,500 of them. While data on the dogs is continually being collected, Johnson said there is scientific research to support the notion that stem cell therapy is working. One study focused on hip joints, published in the fall of 2007, showed positive results. Of 20 dogs, 10 were given stem cell therapy, and the other 10 received a placebo saline injection. Johnson said that for the 10 dogs treated with stem cells, at least eight of them showed improvements in the functionality of their hip joints. She noted progress has also been apparent in analyzing clinical evaluation forms, which are filled out by the dog owner and the veterinarian at the time of the procedure, as well as after 30, 60 and 90 days, six months and one year. While the topic of stem cells in humans has been controversial, mainly with embryonic stem cells in part, due to the ethical questions raised as a result of the destruction of embryos when new stem cell lines are created using adult stem cells in animals does not have the stigma attached. Only autologous adult stem cells, from the dog’s own body, are utilized. Nevertheless, the procedure is not for every dog owner, Israelsen said, since the cost can be substantial. To help Coty, Miller said he paid a total of $1,600, which includes veterinary fees and payment to Vet-Stem. Excited about Coty’s potential, Israelsen is eager to do the therapy on another dog within the next month.